We DO NOT rent, sell or exchange your name to third-party companies for marketing purposes. We do provide your information to reputable organizations that help us to fulfill your order. For example, we use companies to verify and process credit card transactions, to deliver packages, to schedule and perform product installations and to administer service programs. We will NEVER share information with others to help us analyze sales data, maintain our records, or provide other services for Sunshine Wallcovering. We may, however, be required to disclose your personal information to third parties if necessary to comply with applicable laws, subpoenas or court orders. Information needed to make a purchase: When you make a purchase, we ask for your name, address, phone number, email address and other information necessary to fulfill and track your order. For purposes of billing, you will need to provide your credit card type, number, expiration date and billing address for the card. If your order is to be shipped, we also need the name, address and phone number of the intended recipient (s). All information transmitted through Mural Superstore is stored on our secure server. We use Secure Sockets Layer (SSL) technology, which is the electronic commerce standard for securing information as it travels over the Internet. SSL technology is designed to encrypt your information, preventing an unauthorized party from viewing and downloading your information. Your web browser should display a web address with an "https" prefix, indicating that the SSL technology is operating when using certain portions of our website, such as the Checkout and Shopping Cart features. All murals are shipped in protective packaging to protect them from damage. Murals are closely inspected for defects at the manufacturing facility and carefully packaged in a rugged tube for shipping. Orders are triple checked by our entire warehouse staff for accuracy. Please inspect package before opening. If package is damaged, do not open, call customer service immediately. Open the shipping box and inspect the items inside. Check to be sure that all items ordered are in the package. No claims of missing, defective or damaged items will be accepted after 7 days from delivery, with no exceptions. Items damaged during shipping will be replaced as soon as UPS has completed their investigation and the damaged item(s) has been returned to us. In the case of an "item not received claim" where tracking shows a delivery was made to the address provided with the order as the "shipping address", a police report must be made by the receiver prior to a replacement being shipped or refund being issued. Damaged or defective merchandise will be replaced with the same item when available. 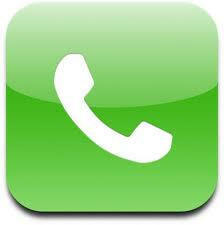 Claims of missing or damaged items must be made by calling our toll free customer support line @ 877-400-0308. Unless your order is complete and undamaged, DO NOT DISCARD any of the packaging. No claims of missing or damaged items will be accepted without the original packaging. Check to be sure that the image and item # on the product package matches the item ordered. If you receive the wrong item, do not open the package, call customer service immediately and we will ship a replacement. Before installing, inspect your mural once more for damage or color/size irregularities. If instructions were not with your mural please call customer service and we will provide them to you. Sunshine Wallcovering is not responsible for the cost of installation or un-installation. Returns will not be accepted once paste has been applied. No returns will be accepted after 14 days. Returns will only be accepted when returned in original condition and unopened. Buyer pays return shipping charges except in the case of defective merchandise. If an item is sold as "free shipping" and the item is returned, an amount equal to the standard shipping (as determined by the website shopping cart) will be deducted from the return credit amount. Sunshine Wallcovering reserves the right to exclude Canada, AK or HI from promotional Items advertised as "free shipping". Special order items (Portable murals, Skybox Sports Scenes) are non refundable and non-returnable. No returns will be accepted without obtaining a return authorization from customer service. Returns must be shipped via United Parcel Service only to our warehouse. To obtain a return authorization and the return address, please call customer service @877-400-0308. Please do not ship packages to our P.O. Box as they will be returned to you unclaimed. Refused deliveries will be charged a restocking fee. If returned for any reason other than defective product, a 30% restocking fee will be applied to cover handling and bank processing fees. You may cancel your order any time prior to shipping without penalty. The images on this site are published exactly as the manufacturer intended. Due to differences in operating systems and monitor resolution some varying of color is normal and is consistent with all images displayed on the Internet. The actual color of the mural you receive may vary slightly from the image that is displayed on your system. No image has been altered. The materials (texts, images, illustrations etc.) and the information contained in this web site are copyright protected by national and international intellectual property law and may not be distributed, modified, reproduced in whole or in part without permission of the respective copyright holders. Any infringement of intellectual property rights is a violation of national and international law, against which legal action will be taken.